KROPS field officers train farmers on how to use the app and alert them to regional supply and demand trends and fluctuations. Agricultural products will be more in demand in the far future. As far as the year 2050 if projections on population growth remain unchanged and its resulting demand for food stays parallel to it. That is the reason why the traditional system of farm to market will have to be disrupted to meet this projected demand. 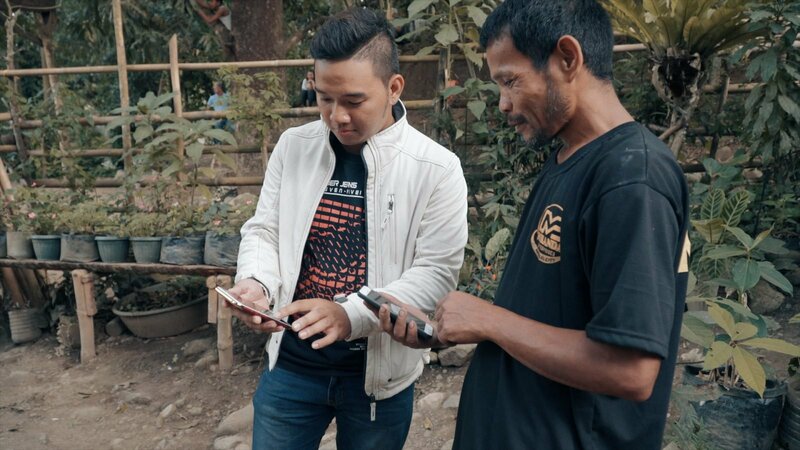 KROPS is an app that can be downloaded on smartphones and other gadgets that can be used by both farmers (sellers) and buyers. It is meant to bridge the gap between them and it is open to expansion via new investors using cryptocurrencies. It has its own cryptocurrency and it is known as KropTokens. KROPS is listed on Iquaint Chain (https://5iquant.org/), a trading platform for cryptocurrencies. On top of this, Krops will also be listed on HitBTC, one of the top 10 exchanges in the world, providing the company a seal of good housekeeping as the ideal cryptocurrency which investors can buy now amid a whole gamut of other cryptocurrencies offered around the globe by various issuers. Currently, Krops is also available in cryptocurrency wherein the price is US$2.17 per KropToken. Investors can avail of the opportunity opened by KROPS. Traditionally, farmers would plant their crops, be it palay, vegetable or fruits. When it comes to harvest time, the usual buyers (middlemen) would come calling and the farmer will sell his produce at prices that have been pre-agreed even before planting time. The results are easy to discern. High prices of agricultural goods and the farmers are still poor. That is the current system and that is why 60% of the poor in this country are rural based and in the agricultural sector. From the farm to fork, there is a big disconnect. There are buyers who want and need the farm produce and there are farmers who need to sell their produce at prices that will give them their fair share in the system. The gap lies in knowing where the produce are, who plants and sells the produce, transporting them to the markets and even to the end users such as restaurants, food industry participants, and even exporters. KROPS transcends all these gaps. KROPS in application wherein both buyers and sellers (farmers) get to transact their business without the middlemen who put on added value to the prices of the produce. All they have to do is download the KROPS app and indicate their details such as where the produce is available, at what prices and the amount of the produce. At the buyer’s end, the buyer can specify the crops or produce that is needed, when it is needed and how much is the offering price. In this way, KROPS provide a virtual marketplace wherein the farmers and buyers can come to mutually beneficial terms. Also, this communication can enable them to discuss details such as transport and storage while in transit. To date, KROPS has processed US17 million worth of these agricultural transactions and with the growing demand for food that is projected to further expand into the year 2050, this is the ideal platform to push towards the future of the agricultural sector. In fact, KROPS has an agricultural produce inventory of US$250 million with over 7,000 agricultural producers and farmers using the app. The beauty of KROPS is that its platform is using Microsoft Azure and that means that it is scalable which is a critical part in sustainability in such app-based systems.